The ISHRS 10th Annual scientific meeting will be covering the latest news and research in hair transplant and surgical hair restoration technology, as well as some breaking news on new hair loss treatments. We have a custom written synopsis of nearly all the topics and announcements that will be made at the upcoming conference… This year’s conference is the International Society of Hair Restoration Surgery 10th anniversary, and it promises to be one of the largest ever held. It will be occurring in Chicago, IL from October 9th through the 13th at the Marriott Hotel, downtown. 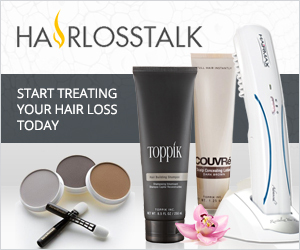 HairlossTalk will be presenting a series of articles prior to and during the conference that will bring you information from some of the top researchers and physicians participating, and we hope to cover as much of what will be presented as possible. The significance of this conference is great, as new information will be presented on some promising new hair growth stimulants, tissue engineering treatments and gene therapy techniques for treating hair loss. Many of us have been waiting for the latest news in surgical techniques as well, and the results of the latest research in hair cloning, cell multiplication, and genetic research are all on the schedule. The facts will be presented by published, reputable physicians who have solid research, and very well may be responsible for the treatments and techniques that will be the first to hit the actual operating rooms and consumer shelves. The purpose of this year’s conference is multi-fold. Some of the top names in science will be presenting new information on the latest techniques in hair restoration surgery, including grafting techniques, as well as the progress and potential results of clinical studies currently being done on some brand new hair loss treatments. This information will be incredibly interesting to nearly all of us. There will be new information on hair growth stimulants such as cell stimulants, enzyme and receptor blockers, gene therapy, and tissue engineering. Along with this of course will be several tools presented for continuing education for the nation’s surgeons on proper technique, new methodologies for estimating donor area and follicular unit calculation, ethical issues in hair restoration surgery, and how to best correct other surgeon’s errors. In the morning, an “Introduction to Hair Restoration Surgery” workshop will be presented by Jennifer Martinick. Soon after, an introduction to the profession of hair transplantation will be presented, including the history of hair transplantation, the causes of hair loss, and the treatments currently available. Marketing, patient evaluation, psychological issues of hair loss, graft preparation, hairline design and donor harvesting, as well as other very interesting topics including emergencies in hair transplantation, and an overview of some of the more nontraditional applications of hair transplantation will be covered. In the afternoon, Dr. Jerry Cooley will be heading a workshop which will consist of several workstations, demonstrating the various parts of the hair transplant process. This is primarily for the education and benefit of newer surgeons and the general public. Discussions on some of the lesser known forms of hair loss, as well as a couple presentations by Dr. Bernstein and Dr. William Rassman of NHI will start off the day on Thursday. Both will go into how to best handle complications in hair restoration surgery, along with some new techniques being used to help automate and speed up the hair transplant surgery process. Training for surgeons will be available on areas including the use of digital imagery, not only for documenting patients progress, but also create virtual consultations for publishing on the web. Dr. Cohen will speak on the importance of effective patient consultations, including setting appropriate expectations with the patient, and selecting appropriate qualified patients… while learning how to identify those who may not be qualified due to age, type of hair loss, or potential for further loss. The benefits of using a non-physician employee to handle the primary consultation will also be discussed. Patrick Hennessey of the will be presenting information to physicians on how to start making use of the Internet to provide better service and value to their clients and potential clients. The use of the internet for marketing and search engine placement will also be covered. The ability for reputable surgeons to become Internet savvy and make their practices available on the web is a very important and necessary tool for benefiting the general public. On Friday, Dr. Ron Shapiro will be discussing the latest techniques for creating natural looking hairlines in both men and women, and in various races. Dr. John Cole will be expounding on Thursday’s presentation of digital imagery to go into more depth, on how to create highly advanced presentations on CD and other electronic media. Dr. Jerry Shapiro and Dr. Jerry Cooley will be presenting exciting new research on follicular cloning techniques of the future, which will undoubtedly be based upon many currently ongoing research projects. New treatments that seem to be showing promise will be discussed, including enzyme and receptor blockers, gene therapy techniques, and tissue engineering. Cloning and Cell multiplication will be discussed in depth as well, and some promising new information will be presented. A discussion on the ever-increasing presence of female patients is also on the agenda, and the various medical and surgical alternatives for them will be covered in depth by Dr. Marc Avram and several other physicians. The issue of pain is a significant factor for most patients considering a hair transplant. The traditional and newest techniques in anesthetic treatment will be covered, as well as some very important information regarding minimum and maximum doses and potential complications. The use of Propecia, Minoxidil and GraftCyte post-surgery will be covered by Heather Hunter. Dr. Bobby Limmer will be presenting information on minimizing donor area scarring, including strip and non-strip incision techniques. Other topics he will also be covering include: Correcting wide donor scars, Transplantation into refractory donor scars, Minimizing follicle transection, Maximizing follicle survival, and ways to help Minimize scarring. Six patients will be presenting to the surgeons their personal experiences in a transplant consultation. Three will have opted for the surgery and three will have opted not to have it done. 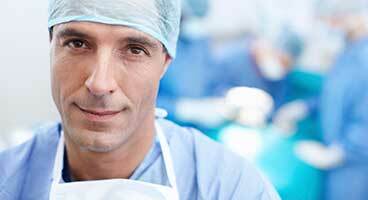 Both positive and negative experiences will be communicated to the audience primarily made up of surgeons and physicians. Topics such as Scalp Reduction without incision, Donor site to Donor site Transplantation, Eyebrow and Eyelash reconstruction, and a New Classification system for Androgenetic Alopecia will be revealed. This conference is so large, that covering all the topics would be impossible in less than 30+ pages. We hope this synopsis is of value to you, and we will be bringing you all the new research and latest announcements presented at the conference as soon as we have them available to us. Additionally, over the next couple weeks, we will be publishing to the news center some exclusive interviews and articles from the top participants in this conference, so stay tuned and check back often.